Speed is a trait inherited by Bees which determines the chance of a bee to produce output. The faster the speed, the higher the chance of a bee creating a product per bee cycle update. 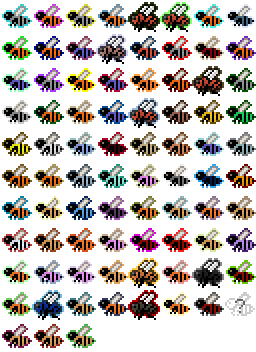 One bee cycle update happens each time the bee's lifespan goes down by one, and is about ~27.5 seconds long. Note that while the Apiarist Database will display production speed in minutes (e.g. "every 5.1 min"), this is not an accurate number. Rather, it is an estimated average that is based off of the chance given by the bee's speed as well as the individual chance of each product to be made (e.g. the chance of a bee to produce a Diamond Comb is much lower than the chance to produce a Honey Comb, but can be influenced by the bee's speed). This list shows a bee's lifespan with its normal genetic traits. 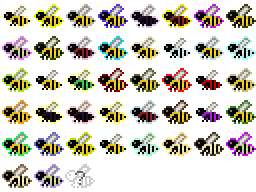 These are the default traits for purebred bees. Cross-bred bees may have different traits inherited from the parental generation. Speed can be modified through selective breeding. This page was last modified on 19 May 2016, at 21:56.